Today's project is one from Stampin' Up! 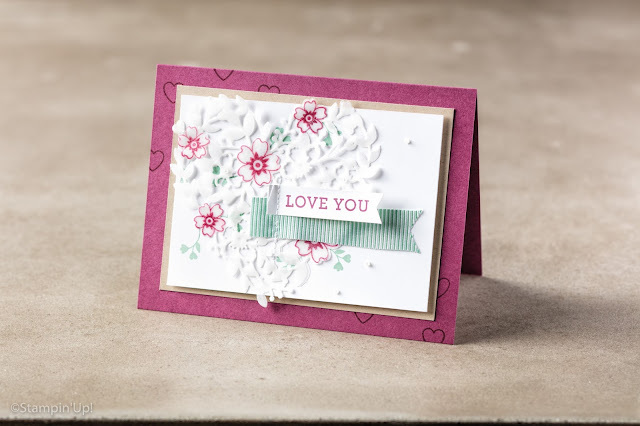 HQ and has been made using the Bloomin' Love stamp set and matching Bloomin' Heart Thinlits Dies. The colour of the card is Rich Razzleberry, this is a gorgeous colour and should be in any craft collection!